will collaborate to strenghten customer experience. 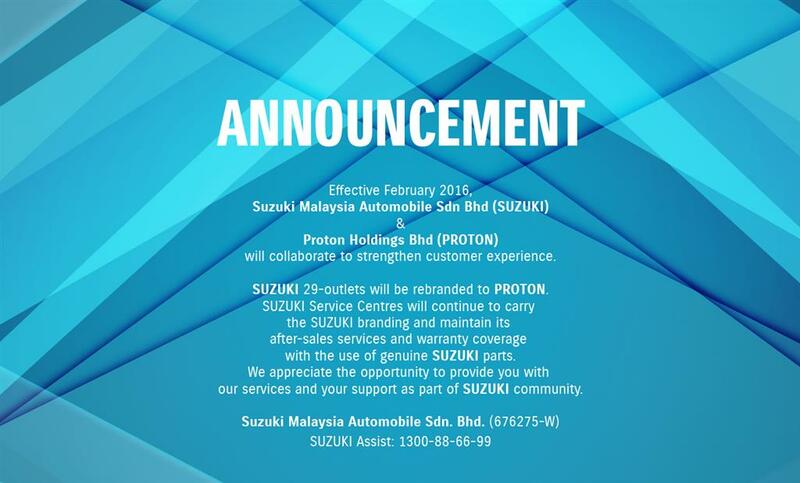 SUZUKI 29-outlets will be rebranded to PROTON. with the use of genuine SUZUKI parts. out services and your support as part of SUZUKI community.